Peace Vans Rentals is not associated with RVshare. 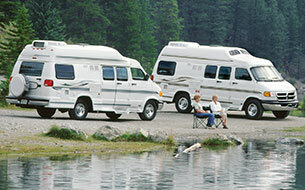 This page is simply a resource, providing more information on all RV rental options, including Peace Vans Rentals. 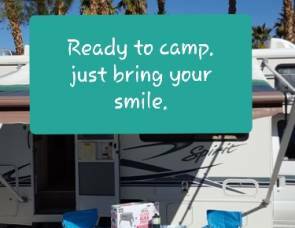 Even if you’re an experienced RVer, your experience of “camping” might be limited to concrete pull-through spaces in campgrounds complete with swimming pools, arcade games and an on-site convenience store. You can get more adventurous than that, right? If you’ve got a craving to take a walk -- or drive -- on the wild side, you might want to consider a campervan. 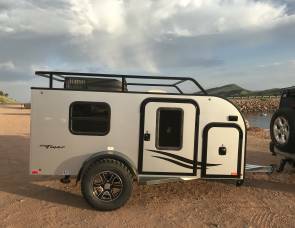 These compact campers prove that big adventures can come in small packages, letting you maneuver into wild, natural places unreachable in bigger motorhomes, RVs or trailers. And since most vw campervans still come complete with bathroom facilities and a kitchenette, it’s still a total upgrade from tent camping… especially since you won’t need to lug any heavy gear! The Pacific Northwest is one of the very best places to experience the unique travel lifestyle a campervan offers. With winding mountain roads, stunning coastlines and ample tree cover, you’ll never be without an incredible view. And those sweeping landscapes offer a lot more than something nice to look at: the Pacific Northwest offers all kinds of outdoor adventures, from skiing and snowboarding to hiking and whitewater rafting -- and that’s just the start. But first things first. We need to get you in a campervan! Where can you get one? If you’ve ever wanted to rent a hippie van, keep reading. Thinking About Renting a Campervan From Peace Vans Rentals? Peace Vans Rentals is a dealership focusing exclusively on VW campervan rentals in the Seattle, WA area. They’re located in Seattle’s SODO neighborhood, and offer no-frills Vanagons and also Eurovans, which are more modern and updated. Both types of VW camper van rentals fit four people comfortably, ideally two adults and two children. The good part about getting your VW Westfalia rental through Peace Vans is that your rental will come with a 50-point safety inspection, and also all the amenities you need to make the van your home away from home -- like curtains, cookware and even a French press and pound of coffee! But the most affordable VW camper van rental might not actually come from Peace Vans. 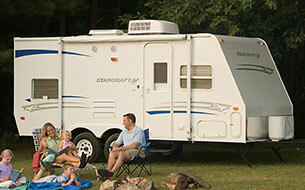 Did you know that some camper van owners list their vans on peer-to-peer RV rental marketplaces like RVShare? 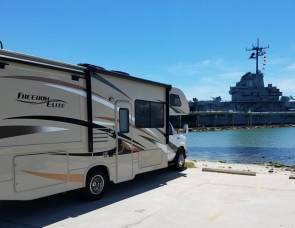 It’s just like Airbnb for RVs and motorhomes -- and just like Airbnb, its prices are almost always way lower than commercially-available alternatives. You can hunt for the perfect campervan for your dream vacation on RVShare even if you’re far away from Seattle. 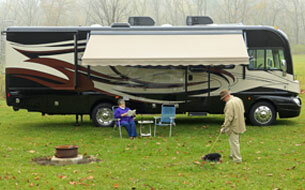 And since your WV campervan rental would be privately owned, it’s bound to come with all those homey amenities, too. 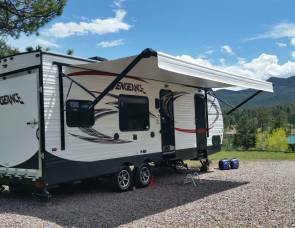 Think of it as camping with character! 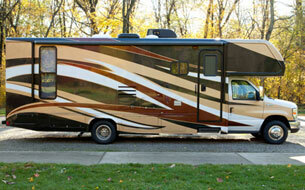 You’ll also get more flexibility through RVShare. According to Peace Vans’ website, all their rental periods must start on a Saturday and last exactly six days. That’s a pretty rigid schedule -- it won’t work for everyone! If you’re considering renting from Peace Vans, you probably want to know what other renters thought of their experience. Peace Vans have very good reviews, both on their website and on Yelp. Customers say the campervan rentals they got through Peace Vans Rentals were clean and comfortable -- one couple was so impressed, they even got matching tattoos of the Peace Vans Rentals logo! “We let them know that we were going to be honeymooners and we feel we got top notch service right from booking. Not only were they super cool and fun to work with, but they TOTALLY took care of us to make it special. They wrote ‘Just Married’ on the back of the van, and gave us a bottle of champagne when we picked it up.” -- Rosalyn N.
“My friend Joanne and I rented a Eurovan from Peace Vans Rentals a week ago and took a road trip up and down the Oregon Coast. It was our first time camping. Our van was very clean and comfortable and was stocked with everything we could possibly need for camping. Thanks Harley and Peace Vans Rentals!” -- Linda H.
If you want to know more about customers’ experience Peace Vans Rentals, you can check out their Yelp page as well as their Facebook. Whenever you’re considering renting from a new company, you should be sure to look out for critical reviews to do with any mechanical problems the RV or campervan might have, as well as the friendliness and efficiency of the staff’s customer service. Peace Vans Rentals is located in Seattle’s SODO district, and is easily accessible by the city’s Light Rail system. You could even transfer to the rail directly from the airport, if you’re coming from far away. The business is generally open from 8 a.m. to 5 p.m. on weekdays, but if you want to initiate a rental, reach out to them directly via phone or email. Seattle is an easy drive to a whole world of outdoorsy wonder. You can easily head south to Oregon’s Mount Hood or north to Vancouver Island. And don’t forget Seattle itself, which offers world-class food and cultural activities! In a campervan, you can easily go wherever you want, be it in the country or city.